I know “Automated” and “Machine Embroidered” sound redundant, because just the fact that the machine is doing the embroidery means it’s automated, right? I’ve taken it a step further! 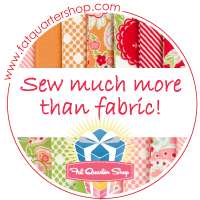 Last year I blogged about how I’d like to automate applique quilt blocks. I’ve been working on it and I think I’ve found some success! I adore applique quilts but I have a bit of arthritis in my hands so cutting out applique pieces with scissors is not much fun, and I’m not a fan of all the stops, starts, and turns in the sewing part. Being a techy kind of girl, I knew there had to be a better way. Enter the Brother Scan-n-Cut and Simply Applique software. I have a cute pattern for a Rhino Quilt that I kept from a magazine from back in 2014. This rhino is one piece and a very simple line design so I figured this would be a good one to test on. I cut out the pattern page of the Rhino from the magazine and scanned it in to the Brother Scan-n-Cut. I have the wireless model that uploads the image to the free Brother Canvas Workspace. This place is amazing. You should check it out. In this cloud environment, you can edit to your heart’s desire. Basically, you want to remove anything that you don’t want cut or stitched in some way. Here he is before. I think those lines are from a fold in the paper and the bottom of the page that the scanner picked up and then there were some words or marks on his body. And here he is after. Ready to go! I edited by clicking on the parts I didn’t want and simply hitting the Delete key on my laptop. Easy peasy. Once you have your image the way you like it, you can download it to your laptop or back to your Scan-n-Cut machine. For this project, I have to do both. It gives you .fcm files for the Simply Applique software and .svg cut files for the ScanNCut. First I download it to the Scan-n-Cut where I have a piece of fabric stuck to the mat that has Heat-n-Bond ironed to it. Paper side up! Ask me how I know! What a mess! I load the mat, press a button, and in less than a minute – ta da!! One cut rhino! Then I download the file to my laptop and pull it into the Simply Applique software. (File/Import fcm). I’ve messed around with the stitch depth settings a bit for placement, tack down, and satin. Then I save the file to a USB I can load into my embroidery machine. The software will save to virtually any type of embroidery file – it is not proprietary to Brother or Baby Lock. I loaded a hoop with a piece of fabric and cut away stabilizer and let the machine do its thing! I love how this turned out! This sample was all done with cheap fat quarters from a non-quilt store (don’t want to ruin my good fabric if it failed!). OK, so one single shape is a good start. But what about applique with multiple layers in the design? I’m working on Ocean Friends by Pamala Jo Designs. I wanted to make this quilt for a little neighbor boy at the coast. Using the same process I described above, within an hour, I had this block done! I need to work on the settings for offset stitches because sometimes the tack down missed the fabric completely even if the fabric was exactly where it needed to be on the placement line. To keep everything straight in my head, I pulled a screenshot from the Brother Canvas and printed it out so I could keep track of which color needed to be placed in the correct order. In Simply Applique, I renamed each stitch in the left menu with the sequence number, part name, and color I was going to use. One thing I haven’t worked out yet in the software is how to remove covered stitches on the final satin stitch. I had to watch the embroidery closely to stop the satin stitching where a piece of fabric would overlap and then begin it again when needed. I used a run stitch on the whites of the eyes and the pupils vs. a satin stitch. EDIT: To remove hidden satin stitches, you left click the part that is on top to select it, then right click Remove Hidden Stitches. In addition to continuing to test the offset placement and tack down stitches, I’m going to experiment with adding embellishments after the fact like satin stitched eyes or maybe a stitched smile. That can be done in the software so I need the practice.